Click here to learn more about our services. 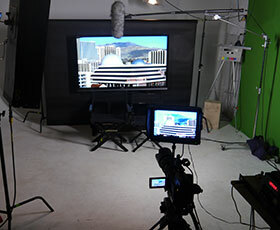 We have EMMY WINNING Grass Valley LDK 4000 Elite and LDK 8000 Elite studio camera packages. In addition to video productions, we offer daily and weekly rentals of our high-end audio visual equipment including complete HD camcorder packages with multiple lenses such as the Panasonic AG-AF100 professional 4/3" large image video camcorder package. Our satellite uplink and video production truck is loaded with all of the equipment required to tackle any video project, including outdoor productions. 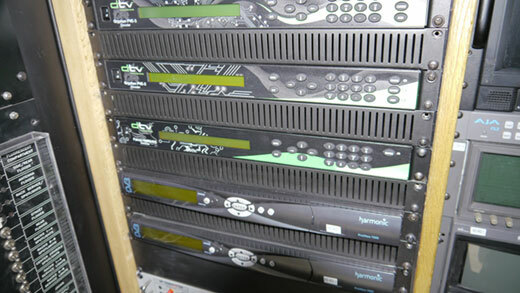 It features a Gryphon PVE-3 encoder for professional outside broadcasting. 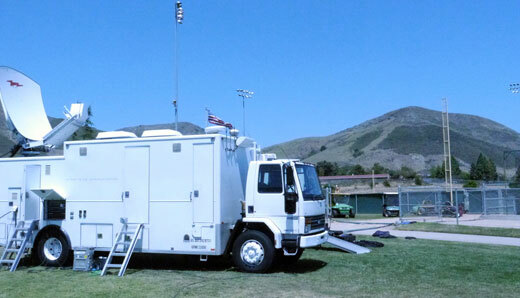 We offer both KU band uplink and downlink transmission services with our satellite truck. Since it's mobile, you can record, edit and transmit video from our studio or any location! We have worked successfully with national companies and locals looking for the best Reno video production service provider. Click here to view some of our satisfied clients. Today, more than ever, there is an increasing demand for high-quality video production in areas of advertising and marketing, education and training. Reno Sparks Video Productions has successfully balanced the needs of professionals who are currently in the market for a video production with the knowledge and experience needed to present a quality project. Please browse our website to learn more about our company, and feel free to call our office with any questions you may have. Remember, consultations and quotes are always provided free-of-charge.